What's the Best Shotgun Load for Home Defense? Shotguns have been used for home defense for centuries in one form or another. For a thug, nothing can be more terrifying than the sight of a double-barreled shotgun leveled at him. 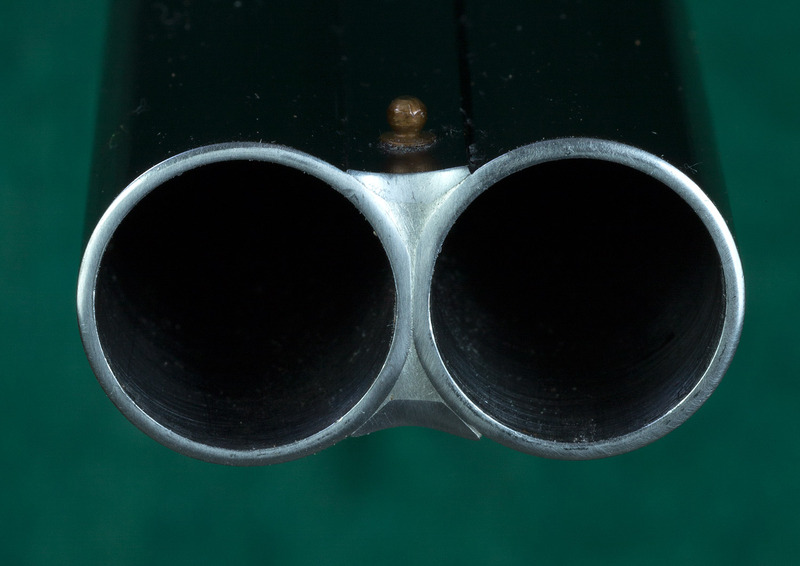 How about the sound of a pump-action shotgun racking a shell into the chamber for sound deterrent? Both will make even the most hardened criminals think twice. The question is, what's the best kind of load for holding down the fort? Of course, sheer intimidation won't always solve your big problem. Well, what do you feed your shotgun against your home-invading foes? Below are Remington 12-gauge shotgun shells opened up for you to see the actual payload. Impressive, right? Well, each load from 7 1/2 shot on the left to even the mighty shotgun slug on the right has a purpose in home defense. Birdshot is a favorite of many home defenders. From close range, the blast of these lightweight small pellets hit like a solid fist. The thug in the picture on the right caught a blast at close range. 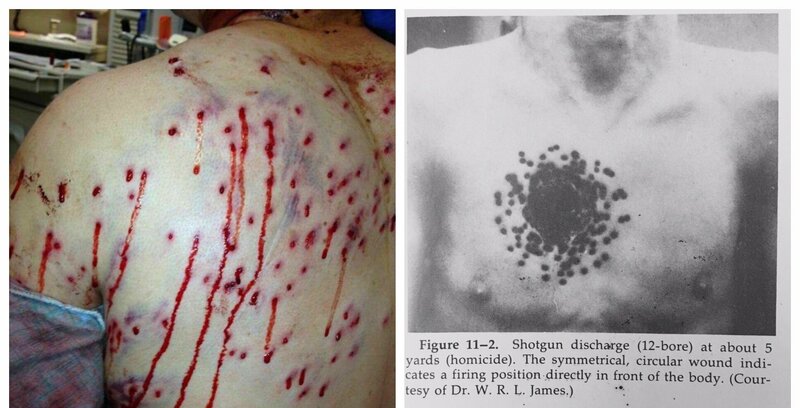 People call shotguns "scatterguns" for a reason. The shot fans out quickly. The fellow in the left picture caught a shotgun pellet blast at a farther distance. He's in pain, but certainly still breathing and ultimately quite angry. Birdshot has excellent track record for up-close-and-personal damage with minimal penetration to household walls. If the distance is somewhat far, you'd better think bigger, such as the smaller-sized buckshot loads. The handy size chart shows a size comparison of how these projectiles stack up against each other. You can use any of these sizes in a pinch, but personally, I'd begin with nothing smaller than No. 8 for close range. No. 4 loads would be even better. Remember, as distances and any obstructions you might encounter get larger, you should increase the size of your projectiles. Save the largest sizes for shooting through cover or barricades. Remember those larger projectiles will keep going and walls may not hold them. In urban settings, loads of 00 buckshot will get almost any job done. What about shotgun slugs? Unless you're living in big bear country or have to shoot through heavy barricades, save shotgun slugs for big-game hunting. A 1,000-pound bear knocking down your cabin door takes more to stop than a home invader. My advice to all who want to use a shotgun for home defense is to buy a variety of shells. Then, take various items, like drywall, plywood or jugs of water and test what those loads do to them at the gun range, if allowed. This target practice will allow you to see how powerful your shotgun really is. Then you can make the right decision of what shotgun load will be the best pick for your own home-defense situation.